Lots of rocker throughout the board to fit nicely in a steep face or critical section. Single concave to a good amount of double concave with vee off the end. Tri fin is standard. Five fin convertible is highly suggested. As a quad it will have more holding power when the waves get bigger or hollow. Shoulder high to double over head. Beach breaks, points and reef breaks. As a step-up or alternative to the Dreamcatcher, go 2-3” longer, same width and 1/16” thicker. 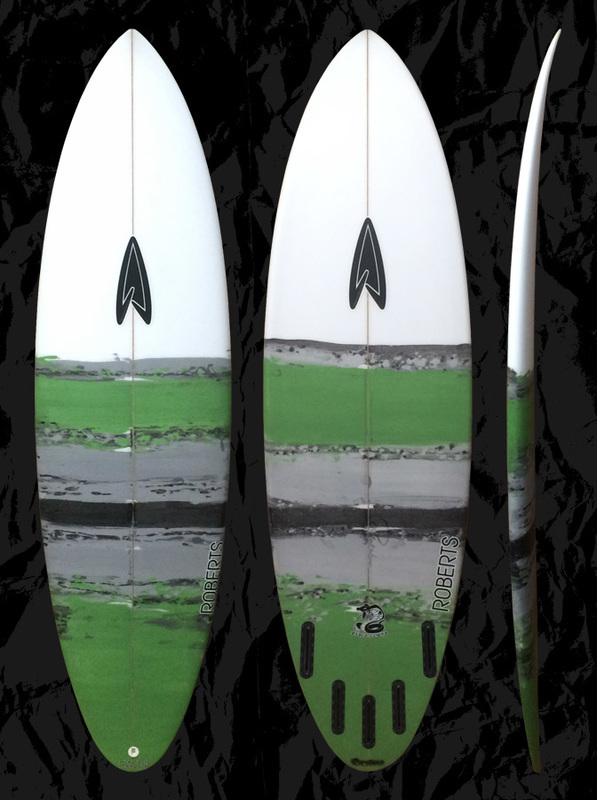 Comparing to pro model short boards go 1-3” shorter ,1/2” wider and in the same thickness. Typically slightly above or 1-2” shorter than height for high performance approach matching volume to skill level, needs or preferences. Longer and thicker for easier paddling. Custom dims are always available. Please feel free to use our CONTACT US form for more info about our boards and sizing.